Mangaluru, Apr 25, 2017: Mangaluru city’s eyes are all on local lass Nimika Ratnakar gracing the stage at the ’Miss Super Talent World 2017’, South Korea, history is all in her favour. Just last year Imlibenla Wati from Nagaland emerged first runner-up in the event behind eventual winners Miss Peru and Miss Czech Republic. For Nimika, 26, from Baithurli in Namma Kudla, the event that focusses on all round individual talent, gives an opportunity to go one better than Imlibenla, the last girl to represent India. Upbeat about the prospects of his daughter in Seoul, Ratnakar N B, an interior designer said that Nimika showed good traits as an all-round talent when she was adjudged the most-talented SPL at St Agnes School where she did her schooling. 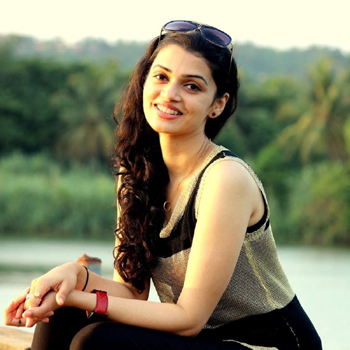 She continued in the same vein in PUC at Canara PU College and while studying E&C engineering at MITE in Moodbidri. Balancing her extraordinary talent with academics, she completed MA through correspondence while preparing for IAS. The Ratnakar-Hemalatha couple have one more child Nitik, an architecture student. Pointing that modelling was more of a hobby for Nimika, his eldest child, his wife Hemalatha is a home maker, Ratnakar said her singing talent has seen Nimika lend voice to Tulu films Madipu and Dabak Daba Aisa. "Her rendition of song from M S Dhoni: The Untold Story on YouTube that saw more than 8-lakh views and comments, has played its part in her selection for the event," Ratnakar said. Recalling with gratitude the support from leading fashion designer Anand Gupta, who has helped select and provide material for Nimika’s wardrobe for the event, Ratnakar said, "Anand Gupta’s dresses should help Nimika stand out." Bringing his own architectural skills on board in designing Nimika’s dress, Ratnakar says he has put a seven-headed serpent on a saree which she will don for the cultural attire round with its tail trailing back down as she walks on the ramp. With Atlas Design Studio too chipping in with Nimika’s dress, Ratnakar, who admits that he did restrict a tad Nimika’s participation in public fashion show events, is sure that she will hold her own against her international competitors.